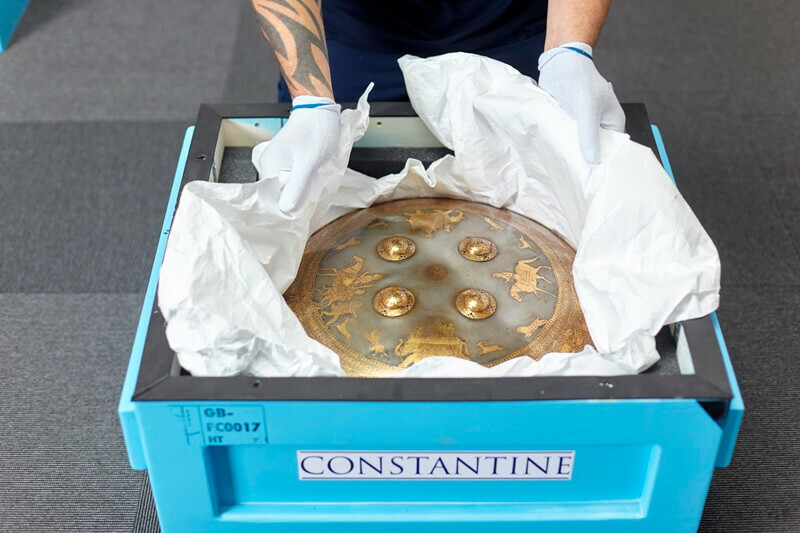 You will not be surprised to hear that each year Constantine technicians handle a variety of large-scale sculptures, decorative paintings, delicate drawings and historic artefacts. It is essential the appropriate training is provided to ensure the best quality of service for our clients when handling these treasured items. It is vital our entire team have a broad understanding of the technical work that goes behind each project, which is why training is regularly provided on our premises by Technical Training Manager, Ben Sparkes. It enables both our office and technical team to deliver expert information and advice to existing and prospective clients. We will also be exploring our external training and how our insightful courier programmes and student workshops increase awareness of the skill and expertise required to transport, install and de-install historic and contemporary works of art. Picture hanging for museums requires a high level of knowledge, expertise and teamwork. There are hundreds of fixture possibilities, and it is the technician’s role to determine the best possible method of suspension. This can differ greatly depending on many factors including: the condition, weight and structure of each artwork, budget, number of technicians on site, the structural make-up of the building and whether there are existing fixtures that can be recycled from a previous hang. One of the greatest challenges of this process is with listed buildings, which often have very specific instruction to how works can be displayed. In the case of a listed building, it is not uncommon for bespoke fittings to be required to ensure a project is completed on time. In addition, the experienced team must always be precise to the millimetre when hanging the artwork, so complex arrangements of paintings can be a time consuming, but rewarding task. The technicians must be prepared to overcome any challenges they face with the greatest efficiency. For this introduction to packing, new team members are shown a variety of techniques in handling and packing, with a mind to artwork conservation. As a bench-top exercise, they are taught how to safely remove a canvas from the stretcher and to carefully roll-package ready for shipping. During the training, the participants also learn how to re-stretch a canvas onto a stretcher, which develops their understanding of the primary make-up of this familiar art practice. 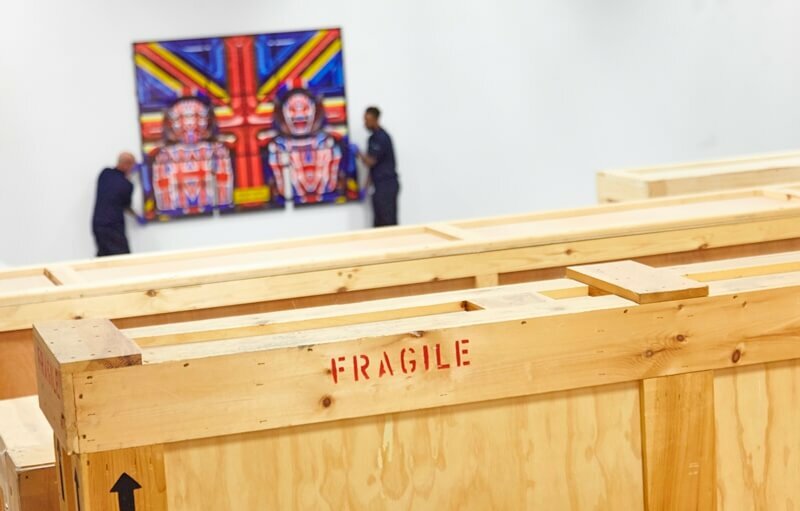 The materials used to line the crates are also explored, with great attention to the procedures of safely packing and securing each artwork or object. Having a sub-office near Glasgow, we have developed a good relationship with museums and art institutions in Scotland. As part of a regular educational programme at The National Museum of Scotland, our airport representatives conduct a Basics of Couriering workshop twice a year for museum professionals. Couriers are often required to travel with our driver technicians when objects are transported between venues for short and long-term loans. This comprehensive workshop was created two years ago for participants wanting to develop their practical skills, knowledge and understanding of the courier process. When it comes to Airport training, our experts hold regular practical exercises to ensure our team and our clients have a complete understanding of the palletisation and airside loading procedures. 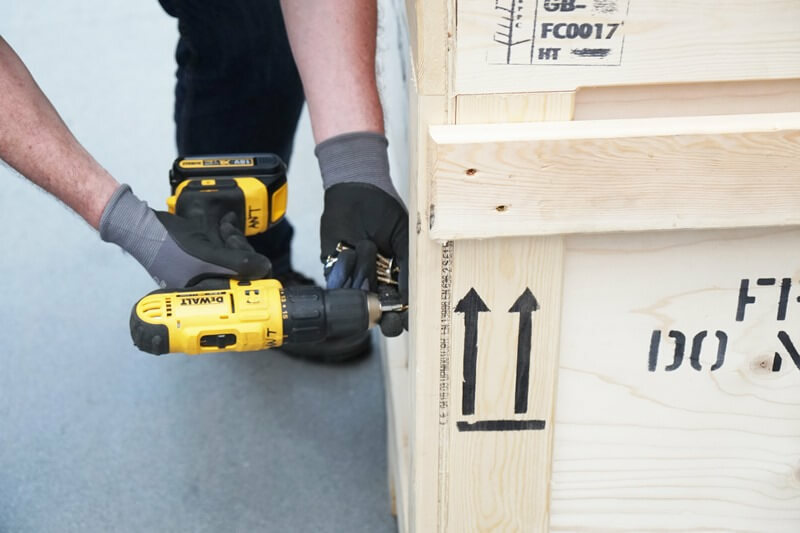 In the airline cargo warehouse, delegates learn about best practice for securing a crate on a pallet or in a Unit Loading Devise (ULD), the importance of accuracy when completing the airfreight documents and the different types of security screening that can be performed. It is also of great importance that the airport representative provides a safe and rewarding experience for the courier. The client must be 100% confident with how the crates have been palletised and loaded. Every year for six weeks, the British Museum runs a training Programme for museum and heritage professionals from around the world. The aim is to develop skills, increase knowledge and build a global network of communication between participants. This year, twelve delegates visiting from Mexico, Rwanda, China, India, Nepal, Turkey, Azerbaijan, Lebanon and Guatemala will experience a day of training activities. 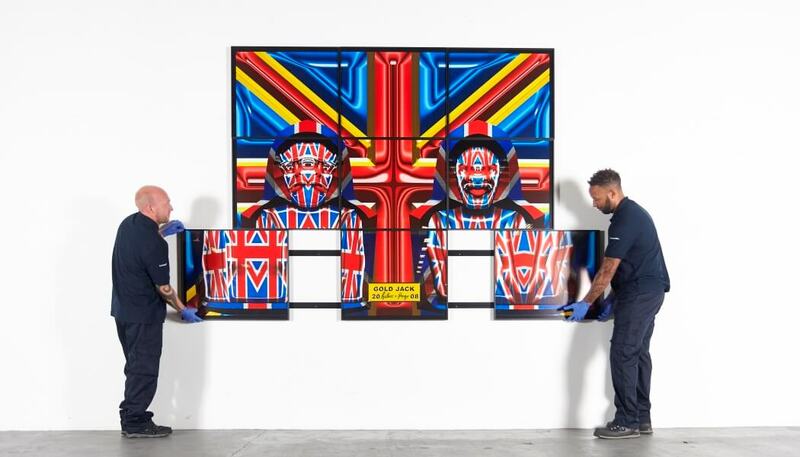 They will be given an inclusive look at the operations behind our organisation, with focus on airport training in the airline cargo warehouse, followed by a warehouse tour and a presentation on the incredible world of fine art handling. We are constantly updating an evolving our training to ensure staff and clients receive the latest information and developments in our industry. To speak to a member of our team about booking a workshop, please get in touch. 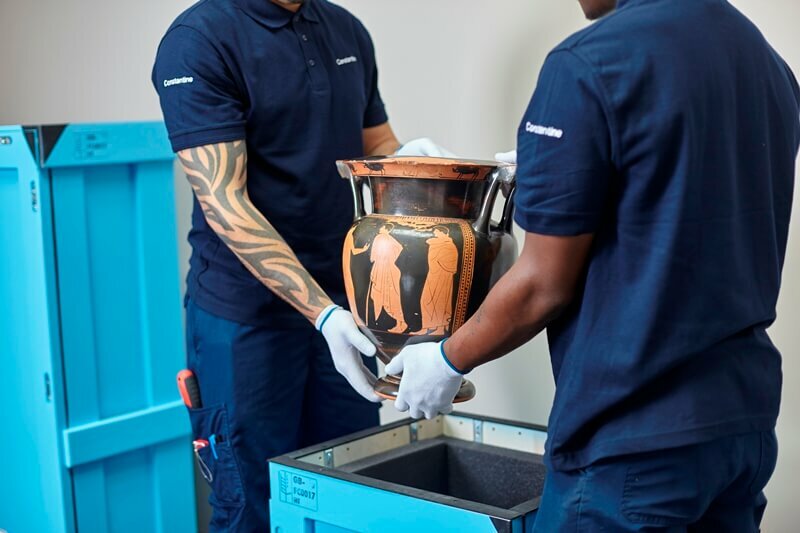 Why do museums need specialist logistics for their collections?